Gordon Parks Foundation took the opportunity to honor top American fashion designer Vera Ellen Wang and American film director, screenwriter, producer, and entrepreneur. Upon arriving at Tuesday’s Gordon Parks Foundation awards gala at Cipriani Wall Street in Manhattan, Vera Wang and her fellow honorees Irvin Mayfield, Lorna Simpson, Ed Zwick, George Lucas and Mellody Hobson were surrounded by Parks’ photography. Lionized by his Life magazine photographs, the late Parks, like many of the boldface names in the crowd, led a multihyphenated career as a musician, film director, writer and photographer. Safe to say, Swizz Beatz, Alicia Keys, Chelsea Clinton, Amar’e and Alexis Stoudemire, Henry Louis Gates Jr., Cecilia Dean, Peter Beard and Gayle King could relate to some degree. Karlie Kloss, Chrissy Teigen, Federica Marchionni, Soledad O’Brien and Huma Abedin helped up the fashion quota. The event raised more than $1 million for the foundation. Lucas, who followed his wife’s lead, opted not to talk about anything work-related. “I’m raising my daughter she’s nine months old. She’s the greatest,” he said. 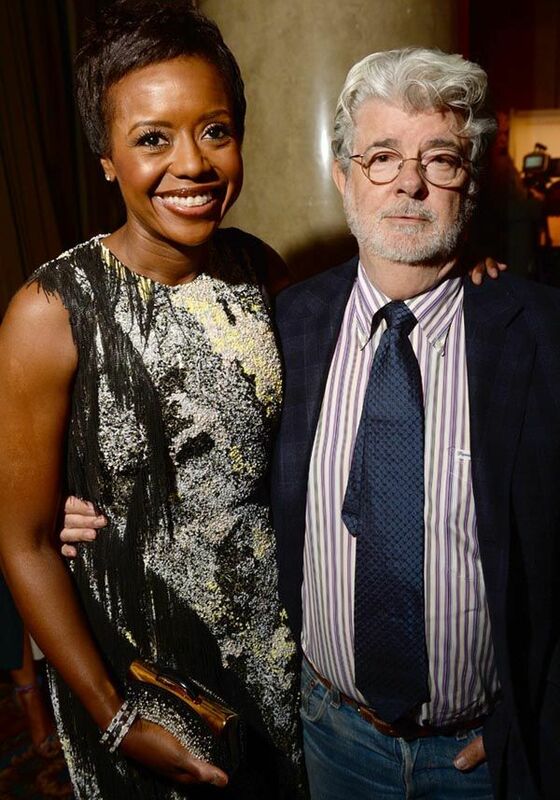 The filmmaker was less emotionally attached to the news that Lupita Nyong’o has joined the “Star Wars VII” cast. “I had nothing to do with it. I read about it in the papers like everybody else,” Lucas said. “I have no idea what they’re doing.” Amar’e Stoudemire spoke of a different calling the $2 billion sale of the Los Angeles Clippers. “It doesn’t really matter to me as long as we are able to play basketball. You know, do what you’re meant to do. That’s all that matters, right?” he said.